or skin care products. 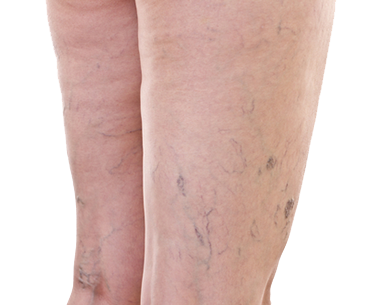 Regardless of the case, spider veins will be a thing of the past when you come into Euro Image Med Spa for laser vein removal. Many people do not realize this, but uneven skin tone may also result in spider veins on the face, which can age a person a significant amount. The last thing any of us want is to look older than our age, right? If you are suffering from spider veins on the face, legs, or arms, we encourage you to come into Euro Image Med Spa and undergo laser vein removal. This pain-free, minimally-invasive procedure offers excellent results, leaving you with youthful, glowing skin, free of unsightly veins. In the past, spider vein removal was a painful and costly procedure. Thankfully, this is no longer the case here at Euro Image Med Spa. Using the Candela GentleMaxPro laser, our team is able to target visible and problematic spider veins on the face and legs safely and effectively. Once treatment is completed, you may notice some temporary darkening around the vein. This will fade anywhere from three days to a week after the treatment has been completed. The number of sessions required will depend on the person and their spider veins. However, the majority of patients require just one to four treatments in order to see results. Laser vein removal is the leading solution for both men and women who are living with unsightly veins. Our laser vein removal treatment is FDA approved and utilizes advanced laser technology in order to safely destroy visible veins. This treatment requires no downtime and can even be performed on your lunch break, if necessary. If you feel self-conscious or embarrassed about any visible veins, please give Euro Image Med Spa a call today and schedule an appointment. Our knowledgeable staff is happy to explain the procedure with you in more detail and can get you booked for an appointment right away. Stop worrying about whether others will notice your veins and schedule a laser vein removal treatment today!